You can save an extra 30% off clearance items at Aeropostale right now with coupon code EXTRA30 at checkout. 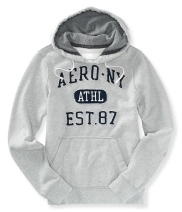 The above Aero Athletic 87 Popover Hoodie is already marked down to $14.99 and will be only $10.49 after the discount. There is a large selection to choose from and the sale is good through 1/5/2014.